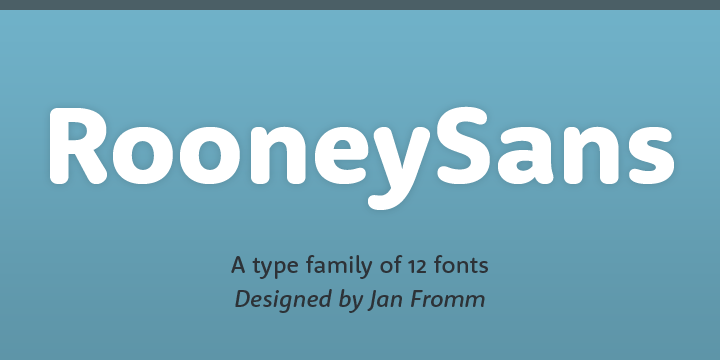 RooneySans can be defined as a humanist sans-serif typeface that has been one of the latest additions to the Rooney family. It also shares similar attributes because the seriffed companion tenderly rounded terminals and a moderate disparity, solicitously applied to conventional sans-serif proportions. The typeface was also developed as an individual typeface family. But it combines really well with Rooney because both typefaces share the same stem weights as well as equal gray value.